Five little Ninjalinos run into Catboy, Owlette, and Gekko on Halloween night. What’s going on? The Ninjalinos are in for a big (and fun!) surprise in this rhyming board book based on PJ Masks, the hit preschool series airing on Disney Junior! 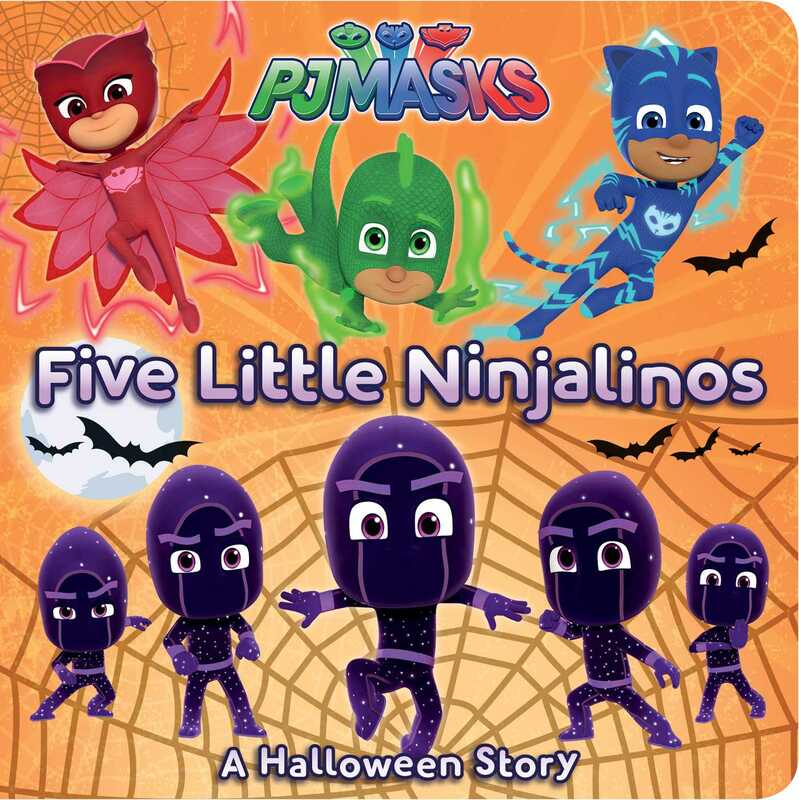 When five Ninjalinos run into the PJ Masks on Halloween night, at first they are unsure of what is going on. The Ninjalinos and the PJ Masks are not always on the same team. Is there trouble brewing? But much to the Ninjalinos surprise, the PJ Masks are there to extend an invitation to their Halloween party. The Ninjalinos are thrilled—they’ve never been invited to a party before! It turns out to be the best Halloween ever for everyone! Written in rhyme, this adorable board book is sure to be a big hit with PJ Masks fans.